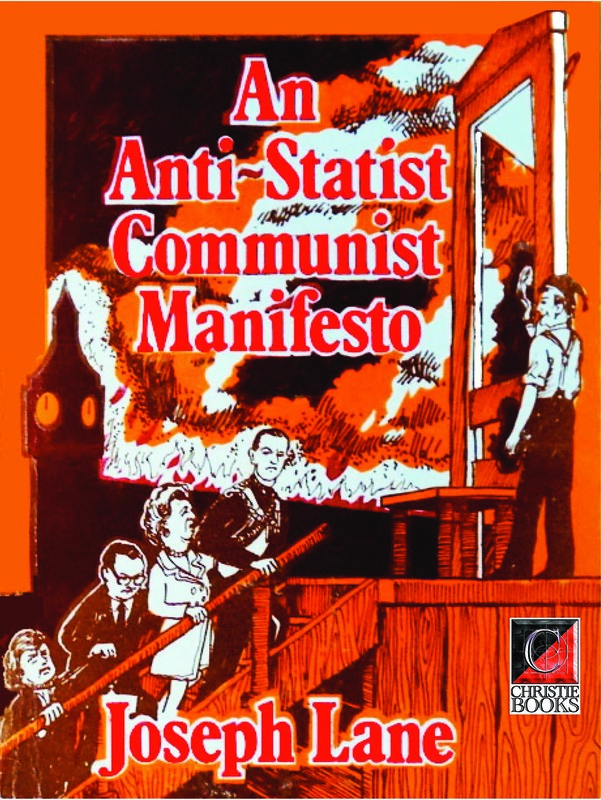 An anti-statist communist manifesto by Joseph Lane with a profile of Joseph Lane by Nicolas Walter. First published by Joseph Lane in 1887 (Bethnal Green). Second print edition (with intro by Nicolas Walter) by Cienfuegos Press, Sanday, Orkney 1978. Joseph Lane defended liberty, equality and solidarity — what would now be called libertarian socialism. He attacked authority, whether religious or political, and declared himself both atheist and anti-statist neither God nor master! He avoided the word anarchist, preferring to call himself a revolutionary socialist or a free communist. He opposed both mere radicals and mere secularists, both individualist anarchists and collectivist socialists. He opposed Parliament as a symbol of what was wrong with public life and marriage as a symbol of what was wrong with private life (though he was himself happily married with several children). He rejected such panaceas as imperialism and emigration, co-operation and land nationalisation, teetotalism and vegetarianism, or so-called Malthusianism (birth control), and such palliatives as a legal eight-hour day or public relief far the unemployed. He attacked the welfare state as well as the warfare state. He wanted social revolution, not social democracy.